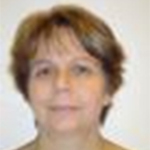 Chantal Guillard, obtained is chemical engineer diploma in 1985 at ESCIL (Superior School of Industrial Chemistry of Lyon, and France). In 1989, She became Doctoc-ès-Sciences in Catalysis of University of Lyon, France. She enter to CNRS the same year to work in Photocatalysis with Professor Pierre Pichat and Professor Jean-Marie Herrmann. Now she is CNRS Director at Institut of Researches on Catalysis and Environment (IRCELYON), laboratory entirely dedicated to heterogeneous processes, targets its research activities on sustainable development issues. She is the authors of 145 papers, 278 communications and 7 patents center on Photocatalysis. Her H-factor is 42. Her studies on photocatalysis field are devoted to fundamental researches to better understand the efficiency and mechanisms of photocatalytic reaction in water and air treatment but also on self-cleaning properties. She also developed some new photocatalytic materials for UV but also visible light activation, especially photocatalytic optical fiber fabrics in collaboration with Brochier Technology Firms. Since 2005, she worked with some microbiologist to improve the knowledge on the inactivation of microorganisms (bacteria and fungi). She is also convenor of the CEN TC 386 working group devoted to the standardization of photocatalytic materials for air treatment and is involved in the AFNOR body since 2008. Photocatalysis is based on the irradiation of semiconductor particles by photons of energy equal to or greater than their band gap energy, which form electron/ hole pairs initiating the generation of highly reactive oxygen species (ROS), •OH, O2•− and HO2•. The principle of photocatalysis is well described, however, never it is described what really happened in the solid. Here, I propose to visualize the formation of these active species on the solid and their action on the degradation of pollutants. In particular the action of water and oxygen molecules and the impact of adsorption of pollutant will be described. Another important point will be addressed: the characterization of the photocatalytic efficiency in water and in air. Actually, to develop new active structure it is important to be able to compare their efficiency. What kind of molecule? What concentration? What source of radiation? What reactor? Ageing? What efficiency value taken into account: initial rates? Rate constant? Mineralization? A lot of crucial point which must be taken into account to avoid loss of time and energy in the development of these new structures. Finally, scientific and technological locks of the photocatalytic process will be discussed and research directions suggested to address them. Particular focus will be on a new concept (luminous fabric fiber optic) and on the photocatalytic materials active under visible light and/or able to improve the quantum efficiency.